Author and academic Aisha Ahmad says the key to understanding militant Islamist groups' success is through local business support. Even in a country wracked by civil war, the local bazaar can be a colourful place. 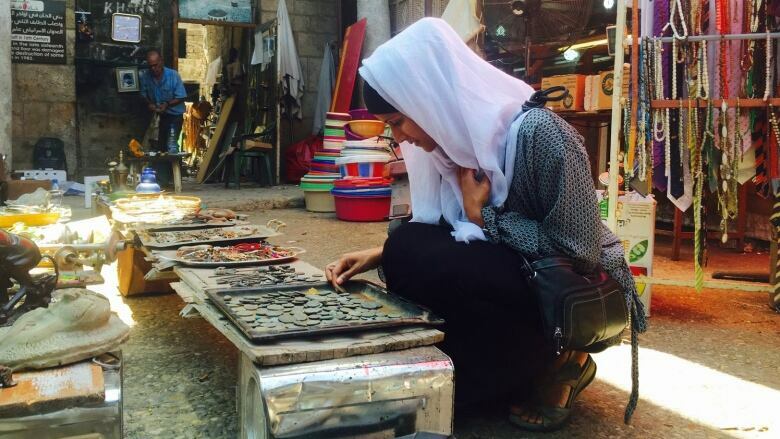 But where others may see silk scarves and colourful spices, Aisha Ahmadsees something more. "I can see the price of war on every single one of the price tags in the bazaar," Ahmad tells The Current's Anna Maria Tremonti. Her new book, Jihad & Co.: Black Markets and Islamist Power, traces a trail of the financing of Islamist groups. 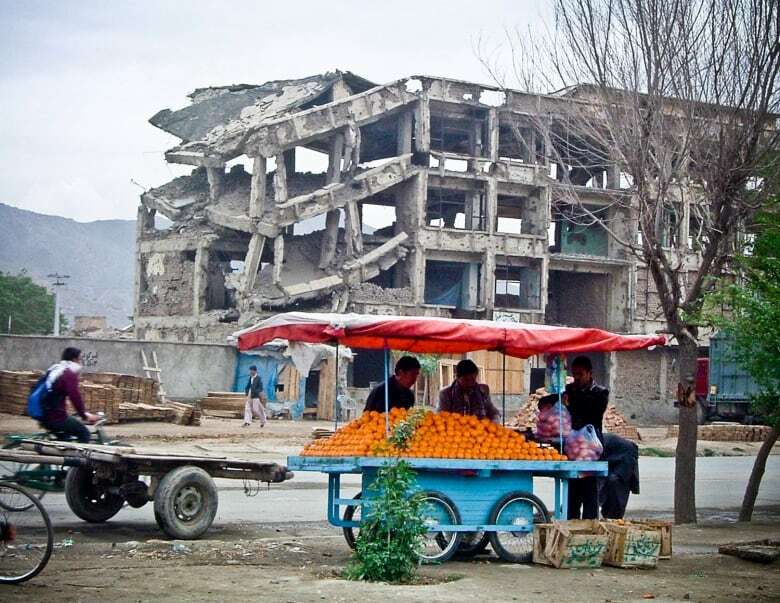 In order to have goods travel across a conflict zone, a businessperson must pay security to warlords and mercenaries manning their own checkpoints. This can mean dozens of payments if the goods have to cross the territory of multiple armed groups. At a certain point, these added costs can make goods — everything from sugar to heroin — too expensive for anyone to buy. For a businessperson trying to keep their goods affordable, Ahmad says, Islamist groups can seem like a practical solution. 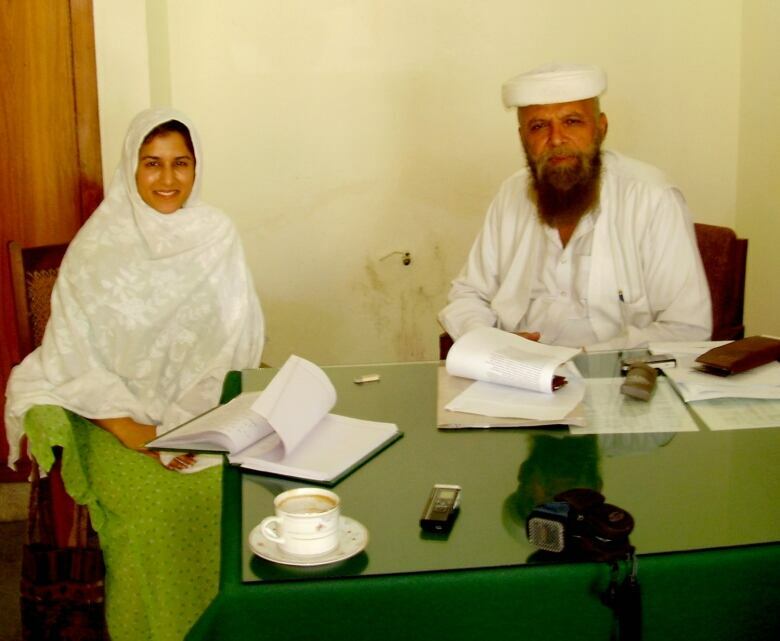 "Islamist groups can do something that other types of armed groups can't," she tells Tremonti. "They can say ... we both have a common Islamic identity and so, therefore, buy into our protection racket. And they can charge a lower rate across the board. And why is that? It's because they appeal to a larger identity group than the narrowly defined ethnic and tribal factions that predominantly govern in these types of conflict zones." Ahmad points to the rise of the Taliban in Afghanistan in the 1990s,and the rise of the al-Shabaab-linked Islamic Courts Union in Somalia in the 2000s as examples. In both cases the countries had been caught in a brutal battle between ethnic or clan warlords for years. The Islamist groups promised not only cheaper tax rates that were better for business, but also order and the rule of law. "There's a moment where you fear in your body that any rules are better than no rules," says Ahmad. "If you have complete anarchy and no one is constrained in any way, then there's nothing I can really do to protect myself. But if there's a system of rules, even if I don't like the rules, that at least I can think, how can I play by them so that I can keep myself alive." The rise of ISIS in Iraq and Syria in 2014 reflects the same kind of story, says Ahmad. Once the Islamist groups such as ISIS, the Taliban or the Islamic Courts Union gain power, discontent starts to build among the business class, especially if the groups impose strict religious rules about what goods can and can't be sold. But at that point, Ahmad says, there's no easy way for the business community to reject the regime they initially bought into. "Once they've pushed out their warlord competitors ... and have established a monopoly on force, created a proto-state, you don't have an exit option anymore," says Ahmad.